There are some minor story spoilers for Destiny 2 in this article, so continue at your own risk. 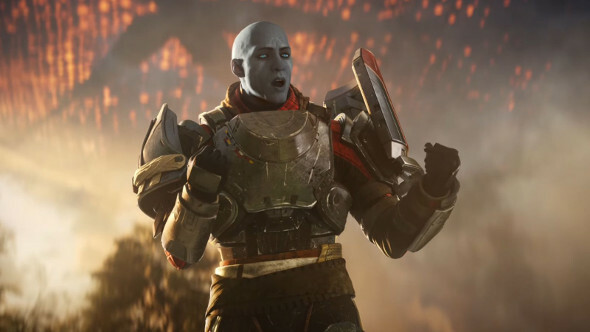 Update, September 8: Destiny 2’s players have been busy discovering more of the game’s secrets, and the most recent find is the return of an old friend. 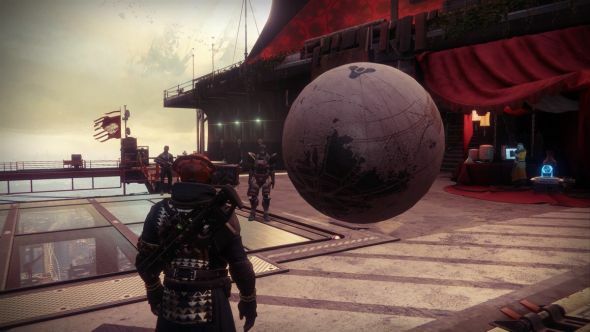 The purple ball was a popular Destiny easter egg. It lived in the tower, and while there was no real objective attached to it, players enjoyed aimlessly batting it around. When the tower was destroyed at the beginning of the game, the purple ball can be seen on a staircase, deflated and folorn. Here’s everything we know about Destiny 2. Thankfully, it now seems to have made a triumphant return. Sort of. According to this Reddit thread, once you’ve completed Destiny 2’s initial campaign, the purple ball returns, and you can find it up on a balcony in the Tower. Apparently, if you move the ball to a checkpoint, it’ll disappear, and a green ball will appear. That has its own checkpoint, and is followed by a black and then a blue ball. If you get all of them to their respective checkpoints (which you can discover in that thread), a huge Traveler Ball spawns, which you can boot around the tower, just like the beloved purple ball of old. Original story, September 6:Destiny 2 players on Reddit have been busily digging through the game since its console release, and have already discovered a couple of secrets. They’ve already uncovered challenges at both the Farm and the Tower. In this Reddit thread, there’s a brief how-to explaining the Farm’s new scouting patrol. In order to unlock it, you’ll need to get to Sentry rank 4, which you can do by climbing to the top of the barn, which gets you two ranks, and running around on top of the water wheel. This gets you to rank four, at which point you can unlock the scouting challenge by returning to the fire pit. At this point, you’ll be given a boost to your stats, which lets you run faster and jump higher. Once this happens, you’ll unlock a short time trial, which requires you to jump between glowing checkpoints around the farm within a limited time. You can watch someone complete it in the video below. If you take too long, you’ll lose your stats and have to start the challenge again by revisiting the fire pit. If you complete it within the allotted time, however, you’ll retain those improved stats as long as you stay on the farm and don’t die. There’s no long-term reward, but you can obviously compete to achieve the best time. It’s also a reasonably cool way to traverse the Farm, and it should allow you to explore places you couldn’t before. If that wasn’t enough, there’s also a mini-game hidden in the Tower. Elsewhere on Reddit, a user found an item that, if picked up, gives you a ‘Floor is Lava’ debuff. Once you have that debuff, a checkpoint (like the ones in the scouting patrol, will appear somewhere on the opposite side of the Tower. To complete the challenge, you’ll have to make it to that checkpoint without touching the floor. If you do, your guardian will take massive damage. Take a look at the gif below for exactly how that looks. If you’re successful, you’ll get a ‘Quickness’ buff, which again, increases your move speed and jump height. In other news, it’s been revealed that Destiny 2’s microtransactions give you gameplay advantages.